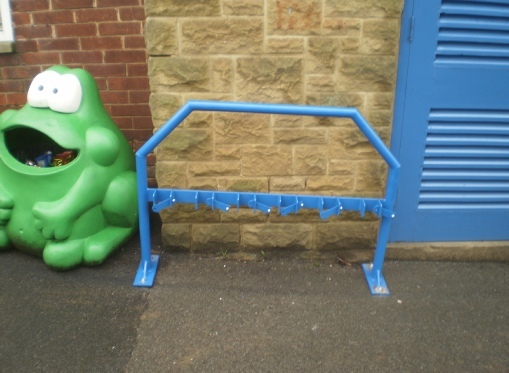 Scooter racks are very popular in primary schools, nurseries and preschools. They give an easy solution to the pile of scooters in the playground, which may be a trip hazard and a health and safety issue. They make the area safer and keep scooters secure. Our Scooter racks are popular because they are come in a variety of capacities. They are available in single sided 10 scooter models or double sided 20 scooter versions. 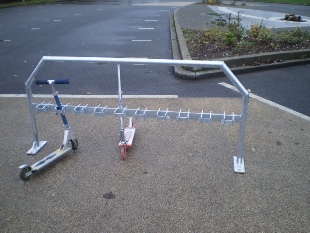 In designing our scooter rack we have listened to our customers and have done away with the loose chains and removable securing pegs and pins which can get lost. Particularly when used by children! There are no removable elements to the securing system. Scooters are secured via a sliding bar which can be locked only if required. This improvement to our design has been well received by all of our customers who have given us very positive feedback. 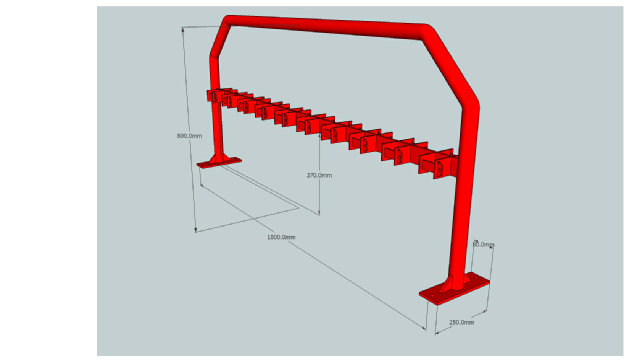 They can be galvanised or galvanised and powder coated to a range of colours. They can be fitted into existing cycle shelters or installed as a stand alone scooter rack, providing a secure way of keeping scooters safe. All that is needed is a simple padlock (not included) to secure the scooters into the rack. They can be bolted down onto concrete or root fixed into tarmac. 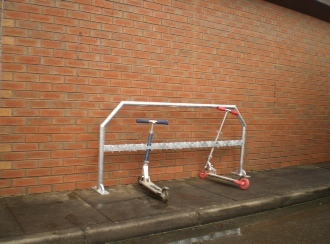 We can manufacture our scooter racks to any size to fit whatever your needs are.